Computer science isn’t just about sitting around staring at code. In Birgit Penzenstadler’s Sustainability Lab, a group of computer science seniors are using technology to help grow vegetables. 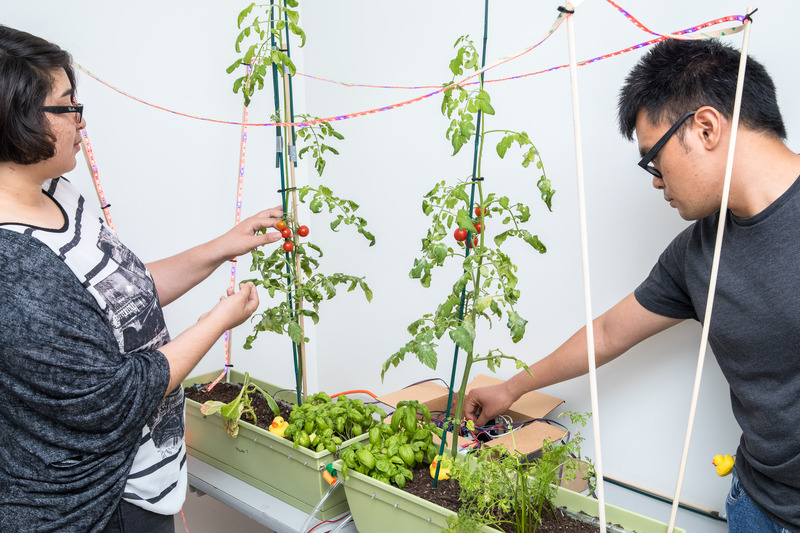 All summer long, Ruben Marin, Marinela Sanchez, Jason Plojo, and Lam Tran have been tending their tomato, basil, lettuce, and carrot plants in a lab in VEC, using an Arduino and moisture sensors to develop water-saving techniques. “We’re trying to minimize the amount of water needed, since it’s a limited resource,” said Plojo, admiring the cherry tomatoes and basil flourishing in the lab’s planters. The students are conducting the research as part of their Senior Project. Their goal is to create a system that can be purchased off the shelf and used by gardeners who don’t possess technical expertise. The research was not without its trials. One challenge was growing the plants indoors. The group corrected for lack of sunlight in the indoor lab by installing strings of LEDs. Another difficulty was they didn’t know much about gardening. From a technical standpoint, the students had to make sure the moisture sensors were functioning. When the sensors signaled the soil was dry, a drip irrigation system delivered water from a bucket. The team, who’ve worked on projects together previously, will continue their research throughout the upcoming semester. Sustainability is a research focus of their advisor. This fall, Penzenstadler will be teaching ENGR 390 ICT for Sustainability. The course aims to equip students with foundational knowledge on sustainability and its relation to information and communication technology (ICT). 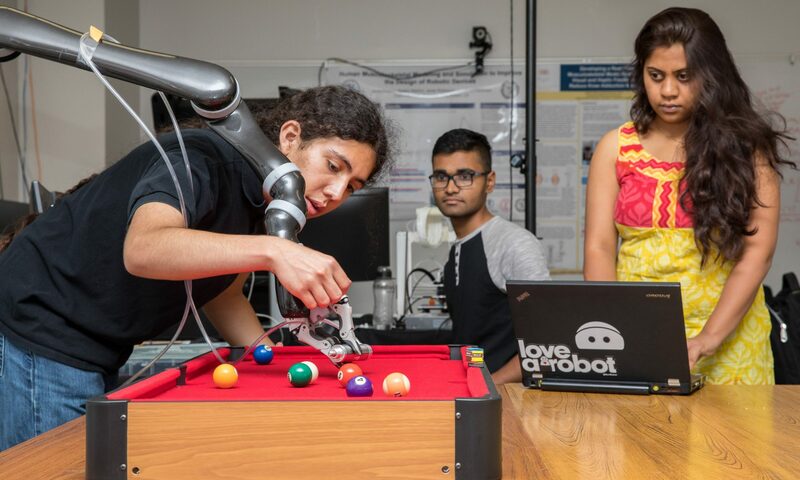 “It’s important to learn how to bridge from IT to different application areas where we can have a positive impact on sustainability using our engineering knowledge,” she said.